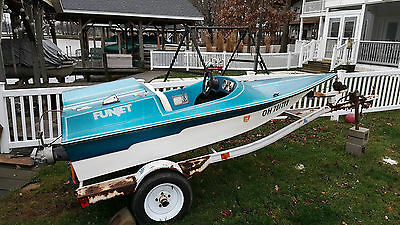 1987 FUNJET FUN JET BOAT - RUNS GREAT!!!! 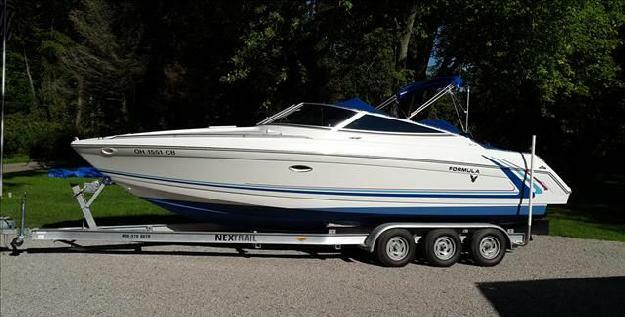 FOR SALE IS MY 1987 FUNJET BOAT. 10.6 FEET LONG. SEATS TWO. 60HP SUZUKI TWIN CARB, JET DRIVE. BRAND NEW BATTERY. RUNS IN AS SHALLOW AS 6 INCHES OF WATER. RUNS GREAT! THESE BOATS GET UP ON PLANE IMMEDIATELY AND TURN ON A DIME. FUNJETS WERE ONLY MADE FROM 1987 TO 1991. 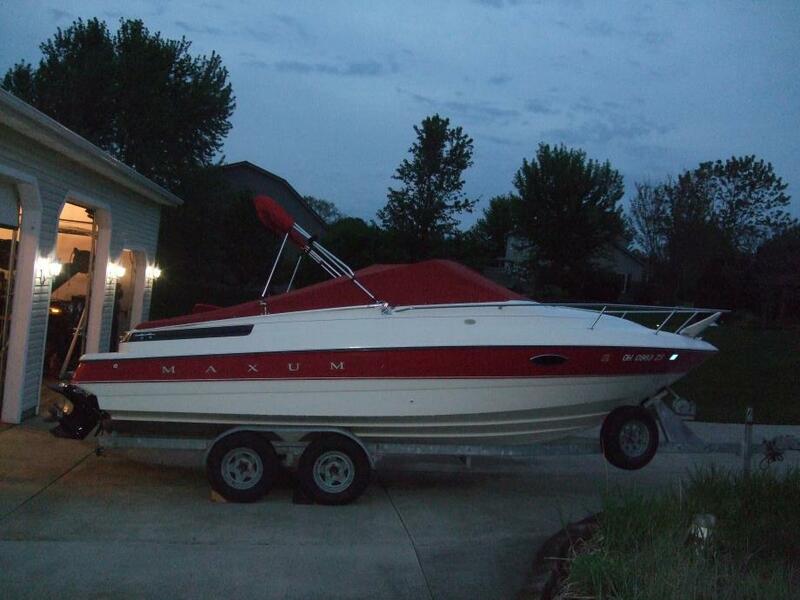 I HAVE OWNED 3 OF THESE RARE BOATS, AND LOVE THEM! LOTS OF FUN AND GETS THUMBS UPS ALL DAY LONG. RUNS BETWEEN 30-35MPH, BUT FEELS MUCH FASTER. EXCELLENT FUEL ECONOMY. IT WILL RUN ALL DAY LONG ON 5 GALLONS OF GAS. THE FUNJET HAS SOME PAINT FADING ON THE DECK, AS MOST ALL OF THESE I HAVE SEEN/OWNED HAVE. THE TRAILER IS INCLUDED. IT HAS SOME RUST, BUT RUNS DOWN THE ROAD JUST FINE. HERE'S A VIDEO OF THE ENGINE RUNNING: https://youtu.be/jVMN-3xu0TA WILL POSSIBLY DELIVER, DEPENDING ON YOUR LOCATION. 1985 Sea Ray 260 Sundancer,1985 Sea Ray 260 Sundancer. 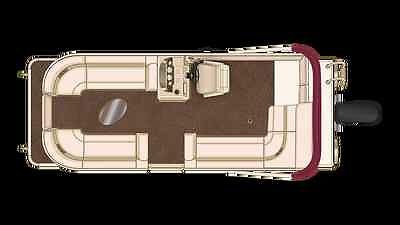 Full galley with forward V-berth, Aft double-bed sleeper cabin and the dining nook can be made into a single bed as well. Bathroom has sink and shower. Fresh water cooled I/O drive Merc cruiser engine. Less than 400 hours. Full Camper Canvas. Upholstery and liner in very good condition. Newer 2010 Boatwheels trailer.